So, Linda & I have been kicking around a lot of scenarios about our future, and we've recently made some big decisions. Though we still don't know how long we will remain full-time RVers, we have started the process of making changes in the way we will live and travel. Not too long ago, we were discussing the possibilities of downsizing to a Class C motorhome in the years to come. It was a conversation that I didn't see coming. 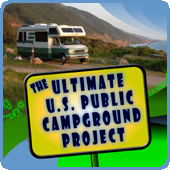 For so long, our plans were indefinite as to when or if we would stop RVing. And even if we stopped RVing, we said that we would just park our fifth wheel in a residential-type RV park somewhere and live out our years in it. Or, perhaps we would get a park model somewhere. The gist was that we didn't need a "sticks & bricks" house, and could be perfectly happy living a simple life among other RVers. Of course, that view was also based on not ever having enough funds to purchase a "sticks and bricks" house again, and we certainly don't want a mortgage. Being completely debt free is something we don't want to give up as it has enhanced the freedom of our RVing lifestyle so much, and we don't ever want to be in that "borrower is slave to the lender" situation again. However, our thought process changed last year. With the death of my mother in 2014 and the death of my father in 2016, we found ourselves in a situation we hadn't envisioned. Years ago, we transferred their house into my name as part of an estate planning/Medicaid planning process. It would have passed to me in their wills anyway, but we never expected to actually end up with the house. All along we assumed we would have to sell that house to pay for their long-term care. Assisted living and nursing home care is quite expensive and we expected those costs to eat up the proceeds from the house fairly quickly. But my mother passed away from returning cancer before she ever went into a senior care facility. And, with the assistance of a Veterans Benefit known as "Aid & Attendance" we were able to keep my father at home and pay for home care until he passed away. Back in 2014, I wrote a long, detailed post called "Exploring Veterans Pension Benefits" that includes my research and some sample calculations. The "Aid & Attendance" benefit is only used by about 10% of veterans that are eligible. The numbers in that post may be out of date now, but the principles and programs are still in place. The big takeaway is that while the "Aid & Attendance" benefit has income and asset limitations, income can be reduced by "future, recurring" expenses such as insurance premiums, Assisted Living costs, or Nursing Home costs, and assets can be reduced by the use of trusts and other legal avenues to reduce assets so that the veteran (and spouse) can qualify. So, again unexpectedly, we didn't end up having to sell the house to pay for their care. The sale of the house would result in funds to add to our own assets. But rather than invest those funds in our investment portfolio or IRAs, we decided to purchase a house in The Villages, a retirement community (more like Disneyland for active adults) in central Florida. Linda wanted to do this 1) because she wanted to keep those funds out of the volatile securities markets, and 2) because it would give her a greater peace knowing that we had a place to go in case any number of unforeseen events might occur. I agreed to this plan 1) because it's what she wanted, 2) because I liked the thought of being able to rent out the house to generate income while we continued to travel (not to mention the hope of the property appreciating over time), and 3) if our full-time RVing comes to an end, I could be satisfied at The Villages with all the golf and other athletic activities to keep me happy and healthy for many years. Now, though we were and are in agreement that we made a good decision with the house purchase, we aren't completely on the same page about how all this will play out. I am nowhere near ready to live in a "sticks and bricks", and I'd be fine continuing to travel the country for many years. Linda could go live in The Villages today, but she also wants to continue to travel while we have our health. At one point last year, she said she could give it 10 more years (which was most likely a way to placate me), and that 22 years of full-timing would certainly be enough. But then a beam in the frame of our fifth wheel broke last summer, and her 10-year timeframe began to shrink. And we both started talking about moving to a smaller RV. Though we absolutely love our rig and have made modifications to make it almost perfect for us, for the first time, we thought "Perhaps this is a sign to embark on a new chapter". We were also concerned that the insurance company would "total" our rig, and we would be forced into a decision. When that didn't happen, and the repair was done beautifully, we let go of the Class C motorhome plan in the short term, but still considered it as an option in the coming years. In fact, we started looking at all the different floorplans at the RV shows where we were speaking. While the rig was being repaired last summer, we bought that house in The Villages (the smallest of houses and without having to have a mortgage) and spent some time there. We both feel at home there, and I was exhilarated by playing golf and other sports, but I'm still not ready to make it permanent. Plus, having a tenant and seeing rent come in helps my desire to stay on the road and keeps Linda from pushing our timeframe up too much. Here is our website with details about the house - The Villages Patio Villa. 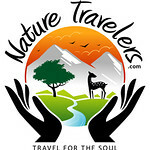 Okay, so we have agreed we'll be on the road as full-timers for at least a few more years, but we also agreed that we will downsize in the coming years and do a few laps around the country and visit Alaska and Canada in something smaller. We may travel a bit faster, boondock a bit more, and actually get out into nature more than we have the last couple of years. And we both think such a change would be invigorating and exciting. Well, as this year has gone on, we've been hearing that our summer destination, Washington, isn't great for big rigs and we've been considering an Alaska trip in 2019. We started thinking maybe we should push up our plan to downsize. So, pretty much out of the blue, we made the decision to look more seriously at the possibilities. One problem with the plan has been we haven't been able to find a Class C that is small enough for what we want that has enough storage space for a full-timer. A few years ago, at one of our Boondocking Rallies in Florida, someone had an Itasca Cambria that had wonderful space and storage, and we remembered that. Well, at this year's Reunion Rally, Bob & Karen pulled in with a Winnebago Aspect, which is basically the same as an Itasca Cambria. They let us take a tour, and Linda & I both determined the 27K model of either the Cambria or Aspect would work beautifully. It's short enough at under 30 feet, we like the Class B+ look rather than the full bunk over the cab, it has two slideouts for extra space, it has a corner shower for more room in it, the bed is not in a corner, and there is great storage in the rear "trunk" area. It does have a dual pane window option as well. So, we are now, suddenly, in the market for a used Itasca Cambria 27K or a Winnebago Aspect 27K. We will look at model years from 2014 to 2017, and we hope to have something purchased by the end of the year. But, that also means we need to sell our beloved fifth wheel. I'm not sure how all the logistics are going to work out, but we have just listed our 2006 Keystone Cambridge on RVTrader.com. We've also included our truck if anyone is interested in the combination. Certainly, if anyone in our RV-Dreams family is interested, we'll be willing to negotiate a bit and they will get a fantastic rig. Because of all the improvements, modifications, and extras, there won't be a book value on the fifth wheel (or the truck) and lenders won't be able to provide traditional RV financing because of that. So, we'll be hoping for someone that wants to do a cash purchase, or has a home equity line of credit, or some other type of funding. Again, we don't know how this will all work out, and if it doesn't seem to be going the way we want, we'll just re-group and figure out something else. The other reason we are considering doing all this now is because our friends, that receive our mail and allow us to use their address as our own, are building a new house and will be moving. And, our mail surrogate, Stephanie, has been undergoing cancer treatment, so we want to relieve her of the burden. It's a good time to change domicile and set up a new mailing address and register the "new" motorhome in our new domicile state, Florida. That way, we won't have to change addresses twice and we won't have to register the motorhome in Kentucky and then again in Florida. Of course, the change in domicile means that we'll need to re-visit our health insurance options and pretty much everything else related to a change of address and/or residence state. Sounds like several of us who have been on the road for awhile are looking at changes. It is interesting how sudden those changes happen. It will be fun to watch were you actually end up and what you get. We were walking around Boulder City, NV in Oct and starting talking about how much we like the town, how many large hiking areas are right near by, Lake Mead is there, every store you could want is 10 miles away but not right there,etc. We also discovered that the RV parks were wearing on us. We aren't boondockers. Boondocking to me is being without sewer or having 30 amps!! So we decided to return to Boulder City in March and looks around and at least find a realtor who could look for what we wanted. Well...24 hours after walking into the realtor, we had a house completely furnished right down to the linens, towels, and kitchen utensils! We had been looking at realtor.com since Oct and there was nothing. We thought we would have to build. Our house was just listed the night before we arrived and hadn't even been advertised yet. It has EVERYTHING on our list. We have a huge RV carport that is wide enough to put out our slides and has a sewer hookup! This is a second home for the sellers so they were thrilled that we wanted the furniture. We are still going to travel half the year. We aren't ready to stop yet, just needing a break. We also want to get another motorcycle. So exactly one month from our arrival back in Boulder City all is complete and we are going to try out our house Sunday!! So wonderful to have the ability to make changes that keep our lives exciting and fun. I really like those B+ rigs - I'd go smaller in a minute :) Can't wait to see what you get and where you go!! We hear ya. We've been stationary in our RV here in California. We live the resort, love the workamping position, and are 30 minutes away from my Mom and oldest son. We do miss traveling, but at the same time we feel more comfortable staying put for now. Good luck on your future! Wow, big changes for sure Howard! Congratulations on your Class C (and Winnebago) decision. I think it will give you a great renewed sense of adventure with all the new places you can go in a smaller rig. My friends Hector & Brenda Lopez (Island Girl Walkabout), got a House last year, traded their big DP for a class C Winnebago View and are ha Inn a ball. As for changing domiciles to Florida, the blog post I wrote a few years ago about doing so is still pretty much the same. Since you own a house in FL, and are married, your needs will differ than mine did, but I can tell you that the Florida Blue plan I’m still on (via ACA), has been excellent. I had major emergency surgery in Mexico last year, and to my shock and amazement, it was covered 100% by BCBS’ worldwide BlueCard program. Likewise, all of my major cancer expenses this past year from around the US have also been covered in-network as PPO. I use a BlueSelect plan (since I have no need for a large provider network within the state of Florida), but you may wish to look at the BlueOptions plan for a larger in-state network. Either way, outside of FL, both offer then exact same broad PPO BCBS network. My husband and I met y’all when you were first starting out at Lake Louisa campground in Clermont Fl. We were RVers considering full timing. Our RV days came to an abrupt end this past year as my husband passed away from brain cancer a few months ago. I am now getting ready to try to sell the RV. Right brans (Itasca) but wrong model for your needs. Best of luck in your future plans. Somebody is going to get a nice rig! We know you always put a lot of thought and research into your decisions. Congrats on this next stage in your lives! Big changes for sure, we'll be making a similar change in the next couple of years when Dale retires and we no longer need space for both of us to be able to work from our home on wheels. Somehow I think this next transition from a large 5th wheel to a house will be sooooo much easier than the transition of a house to an RV of any size since we now know what we really need! Best of luck, will be fun to follow your journey. Once you are spending more time in The Villages, we would love to have you over to our place in Flagler Beach. We just sold our Toyhauler, and will be selling the truck...on our next RV adventure we have also decided on a Class C or small Class A....you will continue to inspire us all!! We are at the same cross road. We are building a shed house just up the road from our daughter in Kansas. No need for all the legal changes you will be making since we have used her address as our residence and mail since we started full timing. We are quitea a bit older at 71 and 74, and have noticed that we aren't quite as sharp at driving etc, so will be downsizing to a smaller RV as well. Good luck with your new adventure! You guys are experts at this game, but when I hear fulltiming and Class B+/C (especially with slides) in the same breath, I immediately think of CCC problems. Many of those units are almost overweight on the showroom floor. I’m sure you’ll proceed with your usual caution. Good luck! thank you for sharing!!! We all must make plans for the future. Wow, congratulations on the move forward with the next step in your journey. Really like the floor plan of your home in Florida as well. My sister has a Winnebago with the diesel sprinter chassis (Navion). Spent some time driving it last year for a few hundred miles and I much preferred it to the Ford gas engine in the Forrest River we rented a couple years ago for a 1,600 mile trip. Thx for sharing. We FTers will all face this dilema eventually, God willing. Youve detailed a kind of middle of the road transition which ive never thought about. We too have modified our 5er and i sometimes think of downsizing. My mailmail, dad, will probably pass soon, so that will be an issue for us too. I hope you find FL welcoming, as it has been for millions of retirees for decades. No personal income tax. Good health care options. I know you have researched this very thoroughly so will just say I will be opening my email to see what is going on with you and when you ultimately do decide to go to the Villages you will be about an hour away from where we live in Florida. Sorry, should have noted you were looking at a 27'. The Navion is 24' and the extra 3' I'm sure would make a difference. I just preferred the diesel engine and ride of the springer chassis. Any class C with a decent shower, walk around bed, okay TV viewing angle, is worth looking at for extended living I'm sure. Hi Howard, We really enjoyed the fall rally. Now it Sounds like there are big changes coming. We have a Winnebago Vista LX 27N. It is 28 1/2 feet long and has plenty of storage. It also has the carrying capacity to full time. Just a thought. Blessed be the flexible, for they shall not get bent out of shape! That's always been my motto - glad to hear about you playing the same game. I've inherited my Mom's townhouse in Ft. Lauderdale, Florida when she went into assisted living in 2010. I immediately put it up for sale but the housing market was WAY down, so I found someone to housesit instead. Over the last 8 years, we've eased into the idea that the townhouse is our home. Last year we made it official by trading the big rig in on a Roadtrek and now we have joined the ranks of part timers. We travel many more miles now because the Roadtrek is SO easy. I'll bet you'll find the same. Fulltiming is wonderful, but so is really traveling. And, we can do more international travel now too. Life is good! We'd love to stop and see you in The Villages sometime. Chris and Jim - Geeks on Tour. Sounds exciting--I wish you both the best. I love the B+ RVs--will be so different being able to travel together instead of in 2 vehicles! Really well thought out you two but then I am not surprised. Even with a 35' Winnebago, I'd love to go smaller. I know you'll find exactly what you are looking for. Keeping your jeep for a toad?? I can just imagine how excited you are about these upcoming changes. I know I would be. So excited for you two as you look at the future and plan your path. We are so grateful that you are willing to share your adventures and your thought process as you proceed. Sounds like a good solid plan. Wishing you all the best in your future travels and new lifestyle. We're nearly a year into sticks and bricks. The adjustment has been okay with a few bumps in our plan, but health issues have stabilized, so the wanderlust is resurfacing. We've got a couple of car trips planned. We'll see how it goes. WOW how exciting! We toured the Winnebago factory in Iowa last fall and we were VERY impressed! We have followed many fulltimers before our own fulltime life started 3 years ago and we've been blessed to meet up with several. It truly is a wonderful lifestyle. Wishing you continued good health and safe travels wherever and whatever you are both doing! I really like those class C models you are considering. I think they will be great to travel in. I think prospective buyers are going to want to see photos of the inside of your fifth wheel. I can’t help but wonder what it is about full timing that has Linda so ready to quit. Perhaps someday she will share her thoughts with us. Good luck in your new venture. Good luck Howard and Linda! My RV storage neighbor has that exact rig you have in mind. Nice unit. Us... we just picked up a Nexus Super C, a Phantom 33SC (Actually 34ft) Not too big, not too small and it's on a heavier truck platform than an F-450 and Diesel (International). Something you may want to think about *shrug* Best of luck in your search! We don't live on the road but we do travel for about 5 months of the year. We are much older than you (73 &72) and have never sold our home and don't intend to. However, our mode of travel has recently changed from a Travel Trailer to an Australian Jayco Class C motorhome. We've been towing a TT for some 14 years and for us the idea was to rid ourselves of the hassles of hitching and unhitching and to make it easier to just say lets go away for a few days tomorrow, all we have to do is open the side gates and drive out and lock the gates behind us. We do have a small Suziki toad that we "may" take along on extended trips, however, for shorter trips of say a week or two or three it will be just us in the Class C.
We are finding the Class C so much easier to park in shopping areas and towns... small spots by a river are a snap. Regards and good hunting, Downunda - Melbourne Australia. Congratulations on your decision! We loved the floorplan in Bob and Karens rig as well and have seriously been considering downsizing ourselves. We too our rental condo back last summer, after our tenant of 5 years gave notice. Family needs will keep us in Colorado for at least 6 months at a time, a smaller rig will work better for the type of travel we enjoy most. As for your summer plans, we thoroughly enjoyed the month we spent in Washington and never had an issue with the size of our rig. It was good catching up with you both at the boondocking rally, and hope to see you down the road again.